30% off baby clothing at Tea Collection: 3 days only! Who doesn't have cute baby clothes to shop for? If it's not for your adorable bundle, it's for another baby shower coming on up! Tea Collection makes shopping fun — and, with this three-day sale — affordable! Browse Tea Collection to find charming outfits inspired by various cultures and keepsake boxed gift sets. I love how vibrant Teresa is, while still being incredibly real. 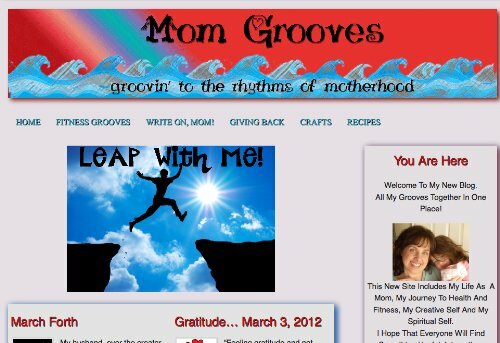 She writes about gratitude, her writing journey, respect for our children, intuition in parenting, and balance in life. She writes with honesty and bravery about even the things she's not so sure she's doing right, which makes you confident she must be doing a whole lot right after all. My four-year-old received these when he was 2 or 3, and they're still in perfect shape. They're a nice, substantial cardboard, and they make three trucks when put together. The truck for each puzzle is a photograph, and the puzzle pieces outline it, so you really get the idea of the shape of the truck, with the big tires and other fun features. I think the choice of fire truck, tractor, and dump truck was good. Those are popular vehicles for little kids. 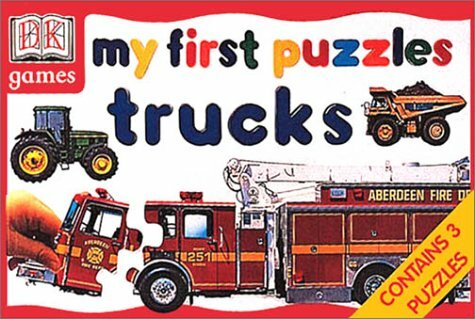 I find that the puzzle is challenging for a preschooler without being too frustrating, because there's a finite number of pieces and there's a lot of immediate confirmation about whether the kid has put them together right or not -- as in, does it look like a truck yet? The firetruck is definitely the most fun for my four-year-old, probably because it's the biggest. I'm not great with estimates and don't have the puzzle out right now, but it's likely over a foot long when pieced together. Littler kids can start with the other trucks, because they have fewer pieces to fit together. When my first baby weighed almost 12 pounds at birth (surprise!) and got up to 30 pounds by six months, I knew I needed some good, solid help carrying him. Even without the infant insert, we started using the ERGO when he was still a newborn. (Granted, he was the size of a three-month-old, so it worked out fine.) When he had good neck control, I could start carrying him on my back in the ERGO, too. By the time he was a year old (and not yet walking), I was carrying him on my back in the ERGO exclusively. 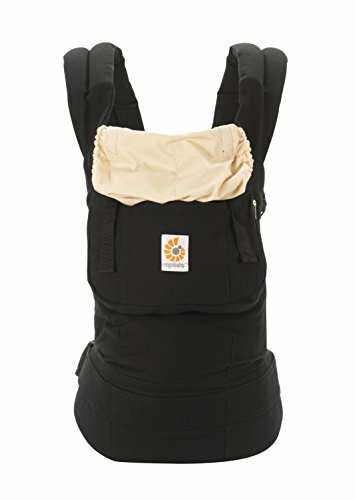 This carrier made us both happy, saving my back and hips and keeping my high-needs but heavy baby content. The straps distribute the weight evenly across my back and shoulders. I also love how it's adjustable for both my husband and me and doesn't take a great deal to switch it between our different sizes. Speaking of husbands, I let mine pick out what color we would get: plain camel. A different color lining, dear? No. Camel. So it was. But the upside is that he loves to wear it, and I see lots of dads using the ERGO so I consider it a nice gender-neutral option for baby carrying. A couple quibbles that aren't enough to make me dock a star: The straps can dig into my armpits if I don't get them adjusted right. And the version I have (I think they might have changed this?) doesn't fit plus-sizes well, meaning that relatives of mine couldn't/wouldn't use it. (Even though I bought the waist extender, I think they thought that was kind of insulting and stayed away.) I also could never get the hood to work for us, but maybe I just didn't try hard enough, or maybe my kid was more sensitive to having anything touch his head. That first baby is now a 50-pound four-year-old (and this kid barely eats! ), and we have a new newborn (much smaller, relatively speaking). I've been using the ERGO again with the baby, and it still works great and feels so comfortable. At his urging, I even wore my four-year-old down the street to a restaurant -- hard on my hips now but easy on my back, and hilarious to boot! The ERGO can take it. I've been reading Diary of a First Child since Luschka had just the first child. (She's currently on her way to #2.) I love how she combines research with her personal take on things and gives us a glimpse into her life. I like to live a little vicariously through her, because she lives internationally to me. Favorite posts on her blog are her recurring letters to Ameli, her toddler, and her Pics of the Week, as well as her many in-depth articles, on topics ranging from breastfeeding to baby-led weaning to natural remedies to pregnancy concerns. Her homebirth story brought tears to my eyes. She also does well-thought-out product reviews and clearly takes herself seriously as a professional blogger, which is great to see. I've had the pleasure of getting to know Luschka online through blogging carnivals and other joint endeavors, and she always comes across as real and accessible -- both knowledgable and friendly. 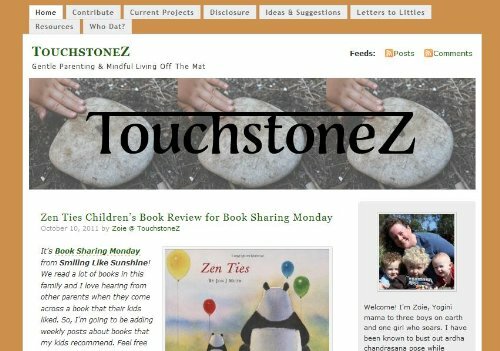 I'm glad to have her blog in my reader! P.S. I think it's so cool you can get blogs on Kindle now! Here's the newsletter with more info. Sorry, I don't feel like fixing the coding to get it all to show up. :) So click here to see it larger. "SO easy to wear and wash. I love all the colours! It really makes my day to pick out what pad I'm going to wear. I never thought having my period could be so much fun!" "I switched to DivaCup about 5 cycles ago. Amazing! Not only do I feel super about not throwing anything away, it's reconnected me with my body and period. Combined with my pretty Lunapads, it's actually something I look forward to!" "I have been using cloth pads for almost 10 years, in combination with the Diva Cup and disposables. I've always been reluctant to use cloth pads at work, because I didn't have a good way to store and transport the pads. This is it!" Make the switch to eco-friendly, body safe and period-positive menstrual alternatives and save 20% on all all products site-wide! Please tell your friends to make sure they don't miss out on this huge site-wide sale; the best time to ditch the disposables for good! Note: Your 20% discount will be automatically applied at checkout, so no code is necessary. Other coupon codes are not applicable during this sale.Kits are already specially priced at 10% off, upping your savings to 30% off on these products! "I just got my starter kit and I adore it! The fabric is so comfortable and soft - way nicer to wear than the plastic disposable ones. Plus it's so much nicer having a cute pad that celebrates my period than an impersonal clinical disposable." "With organic cotton and colourful prints, Pantyliners offer eco-friendly choices that allow me to cater to my menstrual-whims. The fleece is uniquely comfortable and breathes perfectly. Easy to wash, easy to travel with, I would definitely recommend them to anyone who desires an eco-friendly menstrual product." "I've had my deluxe kit for 5 years now and the pads are still in great condition and working perfectly. I bought the kit because I wanted to completely replace the disposables I was using, and the variety of pads included match perfectly with my cycle. Most months I use every pad in the kit, but I've never needed more." I can't imagine my life without a DivaCup. It has completely changed how I feel about my periods! This kit is a great start -- after I'd tried the Pantyliners I HAD to buy some more, they are amazingly soft and pretty! I feel absolutely secure wearing them.